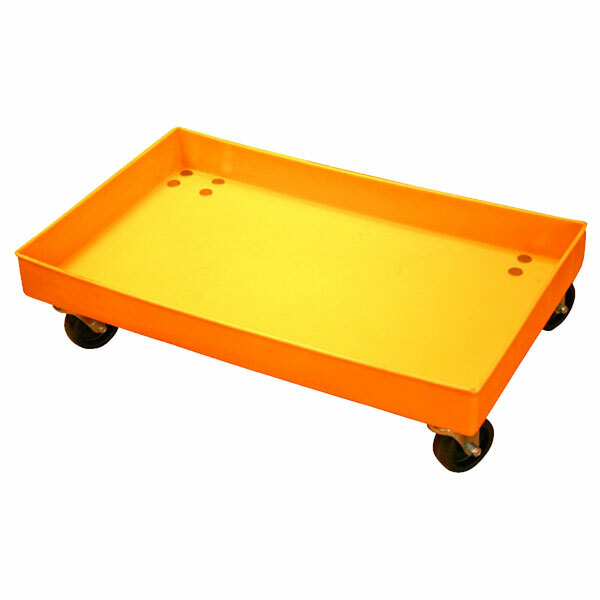 The SB Series SB5-DOL Small Storage Bin Dolly is a storage bin suitable for interior or exterior applications. Seamlessly molded, leak proof, crack proof, resistant to temperature extremes, UV and corrosive agents. Stainless hardware, ships fully assembled. Dolly with four-inch, swivel casters. Polyethylene resists mold and mildew, easy to clean, heavy duty, provides years of service life. 5.5 cubic foot dolly model.